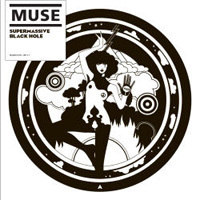 Supermassive Black Hole by Muse was from their fourth studio album Black Holes and Revelations and reached number 4 in the UK chart. Koothoomi Records have this superb song for sale on 7 inch picture disc for only £19.99 plus delivery. This record has the B side of Crying Shame and is a must for any record collectors collection. With the death of Oasis in August 2009, Noel and Liam Gallagher have now gone on to form their seperate bands; Noel Gallagher's High Flying Birds and Beady Eye respectively. Beady Eye have played Isle of Wight Festival and other gis this year and released a debut album and singles including Millionaire, while Noel has an upcoming tour and the release of his debut solo album by the same name as the band. While all of this is great, we cant forget about Oasis and the impact they had on the music/indie scene, as for many, including myself they were the soundtrack to the 90's / early 00's. To celebrate this Koothoomi Records have lots of Oasis vinyl records for sale including Some Might Say 7 inch, D'ya Know What I Mean 7 inch and many more. Already for 2012 we have Benicassim Festival lined up... Bring it on! Koothoomi Records have just added a load of new Depeche Mode Vinyl to their website. Master and Servant is just one of the many records recently added and this is only £5.99 plus postage. Check it out!!! !